The apartment Queens II is located on the third floor and has two double bedrooms, a living room with kitchen and a bathroom with shower. The apartment has bed linen and towels. It also has satellite TV, free Wi-Fi and air conditioning. The kitchen is modern and equipped with an electric stove, oven, microwave, refrigerator, freezer and coffee maker. 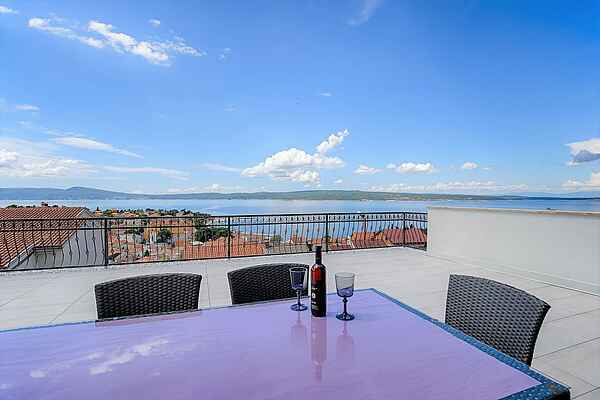 The balcony (65 mq) offers a breathtaking view of the sea and the island of Krk. Private parking in front of the house.